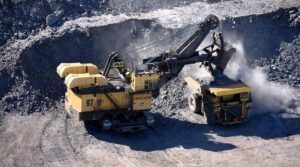 OTTAWA – The Supreme Court of Canada has agreed to hear a jurisdictional appeal in the years-long effort by the Innu to sue Rio Tinto over its Iron Ore Company of Canada operations. The appeal was launched by the government of Newfoundland and Labrador after Quebec’s highest court ruled that the suit could proceed in Quebec. The problem is that the mine in question lies in Labrador, not Quebec. Rio Tinto maintains offices in Montreal including the IOC head office. The Innu First Nations of Uashat mak Mani-utenam and Matimekush-Lac John filed their lawsuit in 2013, seeking compensation of $900 million. The mine has been in operation since 1954, but the Innu claim it was built without their consent. They say the project has caused environmental damage, displaced members of the community, and prevented them from pursuing their traditional way of life. This is the second procedural matter regarding the lawsuit that has reached the Supreme Court. IOC lost the previous ruling when it sought to have the court throw out the proceedings on the basis that the Innu should have sued the government rather than the company. Please visit www.IronOre.ca for further information about IOC.